S (Scripture): Psalm 121:1 I look up toward the hills. O (Observation): God, Creator, Father…we hear/see various names for God in the Old Testament. I love the psalmist’s connection to “Creator.” Perhaps only a power strong enough to create is strong enough to guarantee protection. College provided LOTS of opportunities for growth. Marriage moved my wife and I into a separate sphere, yet still strongly connected to our families. Seminary pulled us away from family for the first time. 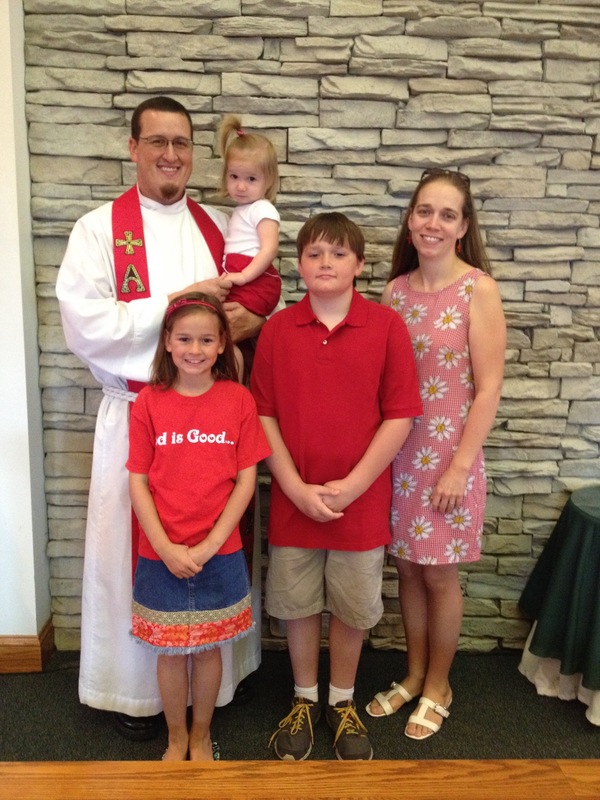 My first call (as a pastor) was to a church in East Tennessee, a 4-hour drive from family. And now, in Murfreesboro, we are still a 4-hour drive from family. We love our extended family, yet we cannot count on them for daily or weekly protection. We’ve grown a lot in this area. And we’ve relied on more than just each other, as a married couple and as a family. We turn to friends where we live, but mainly, we turn to The Lord. We turn to The Lord for provision, identity, encouragement, peace. No, we are not the Cleavers. : ) But we do rely on The Lord. Out of the provision of the The Lord, we give 10% of our income to The Lord. This is a response, born out of our receiving love and protection from The Lord. Our Obedience comes from our Identity as children of the Lord. In the midst of a consumer- and social media-driven society, relying on my wallet and social status for my identity is ever-more tempting. Finding peace through a cell phone or new fridge (both of which we have in our family) is tempting, but we must understand that these are not items that sustain our joy. Only The Lord can bring such joy and peace. What is it that calls you away from The Lord? What vices draw on your yearning for Identity? To whom do you turn for strength and peace? I invite you to share a time when you sensed peace and joy from The Lord. (The birth of our children reminded my wife and I of the great responsibility of caring for another human being in this world!!! Scary and joyful, all at the same time : ). And apparently, God has seen fit to make us go through this 3 times! Oh boy…. P (Prayer): Lord, you are our strength and source of joy. Help us to see ourselves as your sons and daughters. Amen. This entry was posted in Digging Daily and tagged family, Identity, Obedience, Peace, Security. Bookmark the permalink.